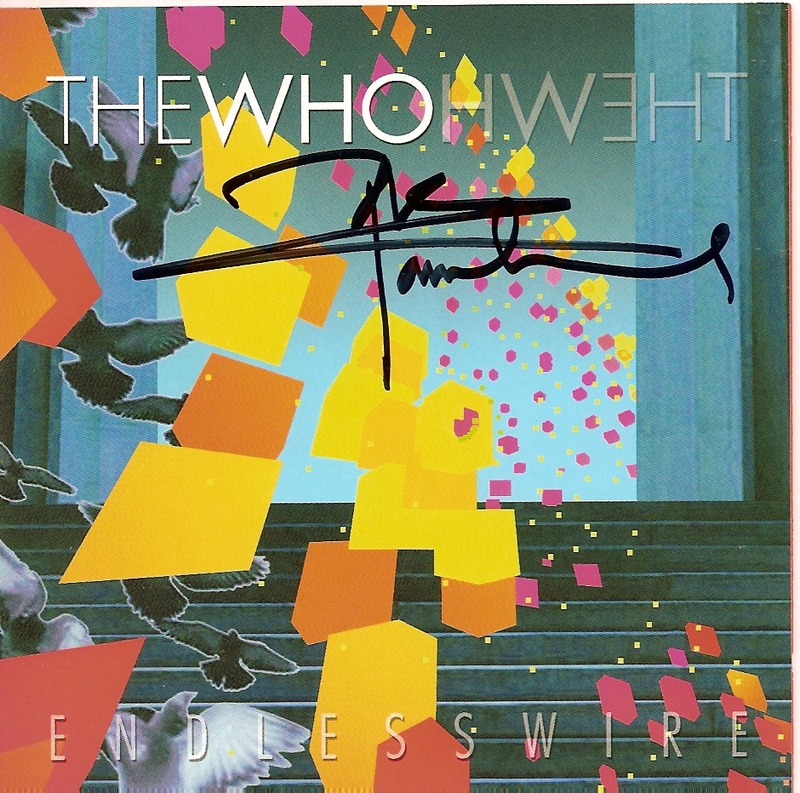 The Who released their first new album (Endless Wire) in over two decades back in 2006. Having been a fan since my almost teen years, I felt their tour to support the album would be a chance to see maybe a couple shows. Since their 1989 reunion tour I have done my best to see a Midwest stop on each subsequent tour. 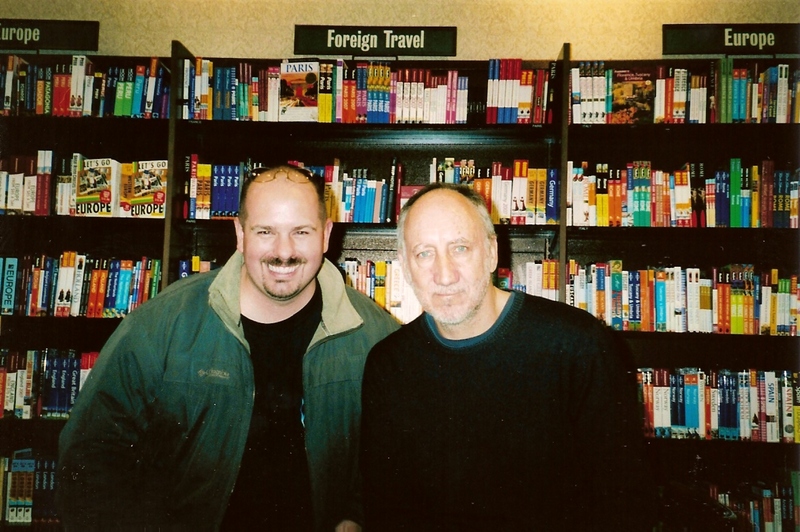 I missed a couple tours in that time – the 1999 House of Blues show in Chicago and the Pete Townshend solo Chicago show in 1993. But otherwise I somehow always make it to at least one show, and I have been a huge planner in doing so – I have never been much on spur of the moment stuff when it comes to concerts. The 2006 tour was much different for me. The only date I planned was the Chicago show on September 25. This was going to be my one and only show, even though a few others looked like a possibility. I have a good friend that had attended all the shows with me over the years, save for the 2004 Hollywood Bowl show. So we decided Chicago was a sure thing. Somewhere along the line I thought it would be neat to go to Des Moines the following night. So I picked up a single seventh row seat and off I drove – out and back in the middle of the night. I recall finagling my time off from work so I could sleep in late and go to work for half days around these shows. A couple months passed while The Who went to Canada, and then returned to the states for more shows. Nothing was scheduled for the Midwest until December and a Grand Rapids show with St. Paul a couple days later. I never had any intention to attend the Grand Rapids show. I thought about it for maybe a minute and figured it was on a weeknight and probably too much of a drive. Flights out of Madison are generally a cash hog and are rarely direct to anywhere. So lots of locals drive an hour and a half to Mitchell Airport in Milwaukee to save some money. Flights to Grand Rapids from Milwaukee send you down to Atlanta, then back up to Detroit. Then I’d need to rent a car – and that seemed like kind of a mess all the way around. I talked to a Who internet chat friend on the phone during a drive to Milwaukee in October and picked up a second row center ticket for Grand Rapids. The lure of second row and off market price swayed me. It was just a single ticket, and a lot of times for concerts I’ve found better luck getting a better seat for a decent price as opposed to buying two or more tickets. I just thought – another Who show – heck yeah! Deciding to drive, I hit the road for Grand Rapids late Tuesday morning on December 5. The weather was on my side that day, and that’s always a concern travelling out of town in the Midwest winter. I arrived in GR around 7pm and found a couple people I knew from the internet chat group at a local watering hole. We chatted and didn’t go to the venue until after the Pretenders played as the opening act. I found my seat and met the person who was the other half of the seat pair. He was a really nice fellow named Jon. I really enjoyed the show despite Roger Daltrey not being in full voice. He really went all out, and I could sense Pete Townshend reaching back for more physically, perhaps to make up for Roger. After the show I felt a pick bounce off my shoulder, thrown by one of the roadies. It landed in the third row and I had easy access as everyone behind me had cleared out. I heard some griping on the way out from a few people that thought they got robbed. I didn’t have a snarky comeback for that. I hopped in the car and headed for home, again with good weather for the trip. I was home around 4:30, slept until noon, and made my work appearance as promised. Everything worked out and I sensed that planets were beginning to align in Whoville. While The Who’s tour unfolded, a side tour unfolded of In The Attic. For those unfamiliar, ITA was a weekly webcast from Pete Townshend’s Oceanic Studios in London. It was hosted by Pete’s partner, Rachel Fuller, and another British singer-songwriter, Mikey Cuthbert. Guests of the shows included Sean Lennon, Simon Townshend, and a very young Adele. A few ITA stage shows were scheduled in 2006 on nights when The Who weren’t playing. These shows had acoustic sets from Rachel, Pete, Mikey and a number of other invited guests. One show was scheduled for Martyr’s Pub in Chicago – but it was the night after The Who’s show in St. Paul. Meeting Pete and Rachel was a guarantee of attending the show, and despite the price, it became something I seriously considered. The other opportunity to meet Pete and Rachel was to attend a free event at select Barnes & Noble stores. They always played a few acoustic songs to promote Rachel’s CD’s that were being sold at Barnes & Noble. It just so happened that one of these events was happening a few hours before The Who’s concert in Minneapolis. A couple days beforehand I caved and grabbed seats from Stubhub for The Who show, then quickly booked a hotel for the night before – just to be sure to be there ahead of time. Thursday arrived and I blew out of work early, picked up a friend that wanted to go at the last minute, and cruised to St. Paul. It’s roughly a four-ish hour drive and one I’ve made plenty of times. We discussed our very tight schedule of B&N/possible meet and greet/Pretenders/Who, and then I wanted to drive through the night back home. I picked up a meet and greet ticket for ITA in Chicago and thought I’d get half the trip out of the way, stopping at home for sleep and eats. Anyway, after a night in the hotel we checked out and visited an old friend of mine that just moved up to the Cities. We bid a pleasant goodbye around 3pm and headed off to the Nicollet Mall area to B&N to scope things out. Luckily a salesperson tipped us off that wristbands would be helpful to gain a better shot at the M&G after Rachel and Pete’s set. We each needed to make a purchase related to Pete/Rachel – so my friend bought Rachel CD’s and I bought the recent Mojo magazine with The Who on the cover. We got 27th and 28th in line with the wristbands. We wandered the mall after that and returned around 5pm to find a few people milling around, with a few staked out near the front by the barrier. The equipment was all set up and Mikey came out around 5:10 p.m. to do a brief sound check. Then the crowd suddenly exploded in size. Some people knew about the wristband thing and others were clueless. We were on the far left side behind the barrier rope – so right up front with no one standing in front of us. I alternated taking photos between my camera and camera phone, leaving nothing to chance. It didn’t give me time to think, even when Pete suddenly appeared. I exchanged a quick “holy crap” type remark with a good Madison friend from the internet chat group and kept alternating between snapping pics and just watching. I could feel myself standing taller than I had in a while, shoulders back, and head high (no, I wasn’t standing on someone to get better pictures). Their set was elegant and sweet. I noticed the section of books behind them were about Travel and Europe. It made me smile over how fitting this was, and that I was seeing them up close in Barnes & Noble of all places! We lined up for the M&G, which was very well organized. I went back to what I could say in a very short time with both Pete and Rachel. I decided just to say thanks and see you in Chicago tomorrow night. My friend and I worked out the camera situation. He’d go first and I’d snap quickly, then we’d trade. We really didn’t want to hold up the line as there were 80-100 people there. My friend got up to Rachel, wound up being nervous and told her she was beautiful. A good compliment, yet not what he intended. He told me later that he meant to say “you have a beautiful voice.” I got through Rachel with no problems and she thanked me in advance for coming to Chicago the next night. She added, “Hope you enjoy yourself.” I think I told her it was great she was doing these shows and taking the time to meet us. On to Pete. All these years and now I’m wondering if I’ll wake up from this dream, or if I’d find that he’s some hologram I’ve imagined and everyone else has been playing along. Nope, he’s real. Now talk to the man! “Oh yeah, right.” He kind of quickly grins. My friend then snapped our picture. “Thanks again Pete, I don’t want to hold up the line” I say and shake his hand. Then we stepped back, climbed halfway up the stairs to the upper section of the store, and just surveyed everything going on below us. Then we made a mad dash to the car so we could get over to the Xcel Energy Center. We were parked in a ramp close to the B&N, and quickly hurried out into the street and around a holiday parade. I remember thinking that we had better NOT get caught up in the backed up traffic and hundreds of pedestrians roaming around. Fortunately the ramp brought us down on the opposite side, and after getting my bearings straight, we were off to the Xcel. Parking wasn’t an issue near the Xcel, nor was it been at any of the other shows I attended on the tour. We rushed in and got inside just as the Pretenders started their set. They were just starting their second song when we got to our seats (10th row center that I picked up off eBay for under face value), and I could sense the crowd starting to come alive. Chrissie Hynde had everyone in the palm of her hand for the rest of the set, and this lineup of players really rocked. The only other time I saw the Pretenders was in 1998 at a festival, and that paled in comparison to what I witnessed at the Xcel. It only left me wishing for a chance to see them do a full set, as they also played a short set at that festival. After their set we wandered around and luckily were little by little able to move up closer to the stage. We eventually wound up in the front row on Pete’s side (with me on the rail and my friend on my heels). Roger punching himself in the chest a few times and spitting back toward the drum riser. I really felt for him. I’ve been bloody sick before and had to pull a radio air shift, or train a class in more recent years. Not belt out these songs for two hours. I never heard a word of crap about it after this show from so-called fans, which was a stark contrast to the snotty comments I heard after Grand Rapids. Naked Eye. Sure it would be better if they did it together in full health, and we can speculate until doomsday about possible Quadrophenia songs Pete could have played. I wouldn’t take this version back for anything, and I don’t give a flying fig about the improvised lyrics. One of the (geez, I dunno…) million reasons or so that I got into the Who was “this is it, warts and all, us and you/you and us” concept. It’s like having a number of different friends that you love for different reasons, while also knowing you love some more than others. I love this version of My Generation/Cry If You Want/Naked Eye for different reasons than I love the other “Roger leaves the stage” version I saw in Chicago. I got really into Pete doing Cry If You Want. Maybe it was the vantage point and maybe it was just me letting myself go, but I felt some sort of outburst bubbling underneath my skin. Yeah, I can cry if I want. Join me for Part 2 next week! And please check out my Facebook author page.